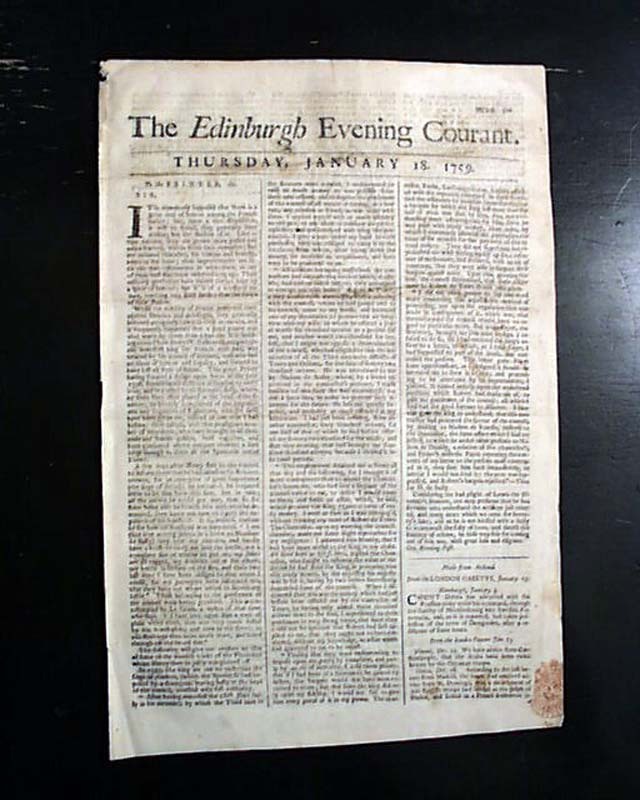 THE EDINBURGH EVENING COURANT, Scotland, Jan. 18, 1759 Page 2 has a few bits on the French & Indian War with: "The taking of the French settlement of Capesse on John's River Nova Scotia has, this said, put us in possession of a large tract of country finely cleared & cultivated by the French. 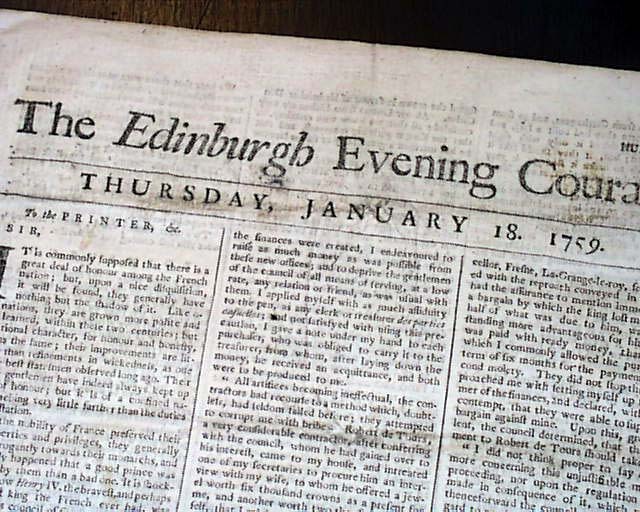 As by the late acquisitions of Louisbourg, St. John's, etc. 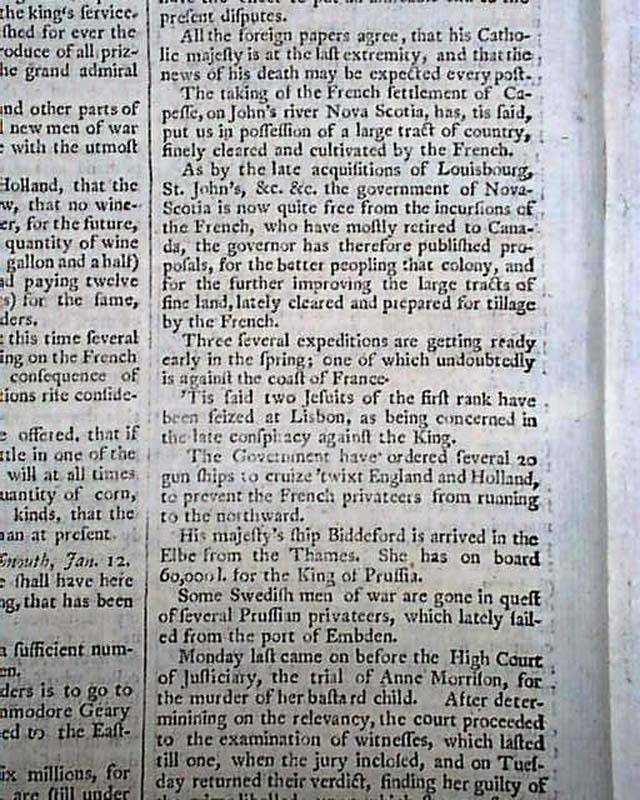 the government of Nova Scotia is now quite free from the incursions of the French who have mostly retired to Canada..." and a bit more. Four pages, partial red tax stamp on the ftpg., good condition.